Research shows that their attention span has come down from 12 minutes to 8 seconds. Nobel Prize winning research and cutting edge brain imaging technology of today have helped us understand how audience processes your presentation. If we don’t design our presentation to pass the spam filters – all our effort in creating our content would go down the drain. There are three spam filters commonly used by Old Brain to decide whether to pay attention to your business presentation or not. 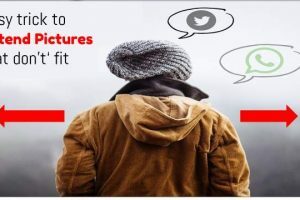 If your slides look the same as any other slides that your audience has seen before – your information would get blocked by the ‘Uniqueness’ filter and your presentation goes straight to the junk folder in the brain. Take a look at this picture. What do you notice instantly? You were naturally drawn to the big red dot here among all the other grey dots. Isn’t it? You just witnessed the power of ‘Uniqueness’ filter of your old brain in action. Your mind has quickly noticed what is different from the rest and ignored everything else. Remember, every second, we are hit by 11 million pieces of new information and that our old brain screens out most of that information and allows only 40 out of those 11 million to reach the next stage. Think about this…your old brain has to take a split second decision on whether your information deserves to be in the exclusive 40 out of the 11 million. By paying attention only to things that ‘look different from the rest’ – your old brain solves the problem of information overload – in a very efficient way. You may have the best of content hidden under those boring bullet point slides. But, since your slides look the same as any other slides – your message gets totally ignored. Actually, it is not even fair to expect the old brain to realize that your bullet point slide is far superior to the other hundred bullet point slides it has seen before. In fact, the old brain doesn’t even know how to read. Because, language processing is the department of the new brain. So, this is how your old brain sees all the bullet point slides. Can you even recognize yours from the rest? That is why – the ‘usual slides’ are ignored so quickly. Yeah! It kind of sounds cruel. You almost feel like a hapless author who takes his life’s work to a publisher who can’t read, and he throws your manuscript into the dustbin because your book cover looks boring. Cruel. But, that’s the reality. 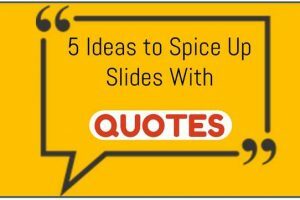 It is not enough to create great content, it is equally important to create unique looking slides that pass the spam filters of your audience’s old brain. Otherwise, you might as well not create the presentation at all. How to create PowerPoint slides that look different? 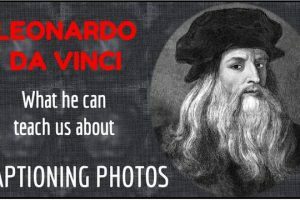 By the way, if you want to learn how to create Business PowerPoint Slides that look truly different and effective, I recommend you take a look at our Ramgopal’s PowerPoint Mastery Program. 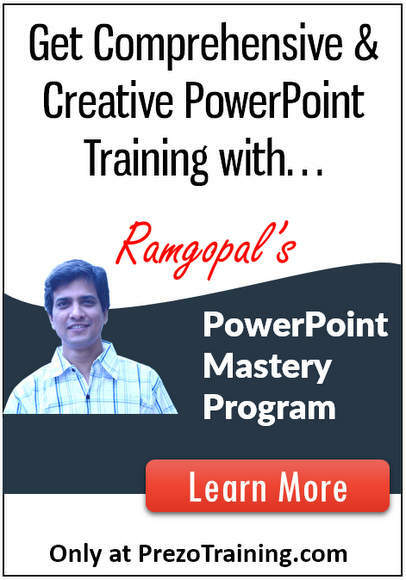 In fact, Ramgopal’s PowerPoint Mastery Program is the only program you’ll need to create professional quality business presentations that get you results. Please learn more about the program by clicking here. In the next article, we will explore the second spam filter used by your audience’s old brain to decide whether they need to pay attention to your presentation or not.